We’re especially excited for today’s Small Business Owner profile with Panos (Peter) Voyiatzis, the co-owner of Brooklyn Bagel and 60 Beans. Learning about our neighborhood from someone who has called Astoria home for decades is a real treat, and we’re very thankful that he took the time to share his experiences with us. 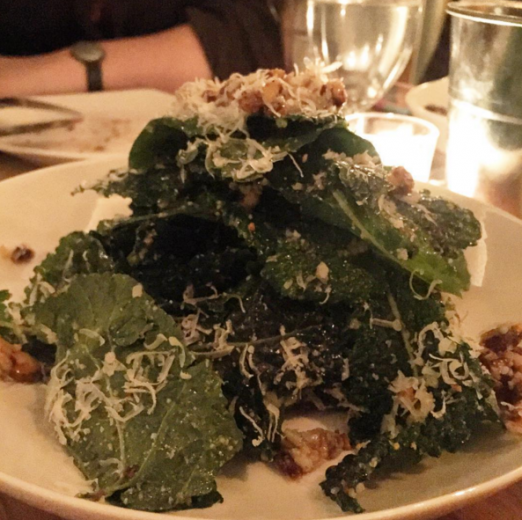 As a bonus, the We Heart Astoria team stopped by 60 Beans recently to sample their new dinner menu. We’ve included a few of our favorites below! 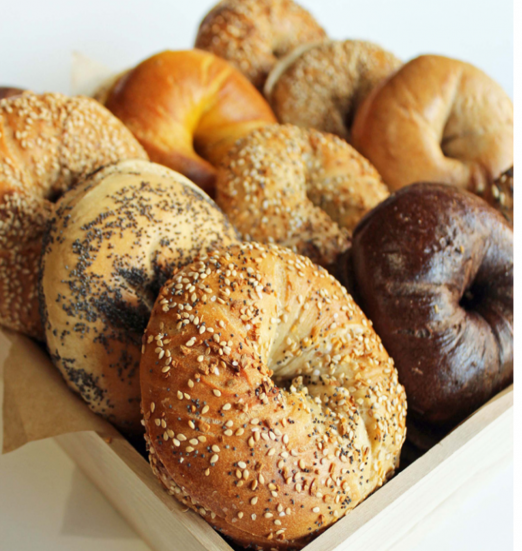 So many bagels to choose from, how can you possibly decide? Our hand-rolled bagels of course! Do you also live in Queens? If so, whereabouts? 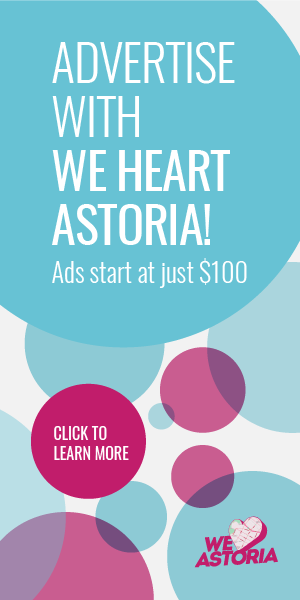 I’ve lived in Astoria since 1979. I currently reside in Upper Ditmars. I was born in Athens, Greece. 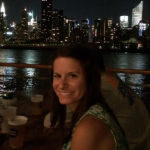 When our family first moved to New York City, we settled in Corona for a short while, until my parents discovered Astoria’s robust Greek culture. Where else but Astoria? You go first with what you know, what you’re comfortable with. Staying close to home is definitely the safer risk. I went to school here in Astoria (Immac & St. John’s.) I have a solid network of family and friends here. My father also owned businesses here. It is very familiar territory. It’s home-field advantage. Most often I’m eating in one of my stores, Brooklyn Bagel or 60 Beans, since I spend most of my time there. But I make it a point to patronize all of the local eateries when time permits. It’s important for neighbors and small businesses to support one another. That’s one of the things I love most about Astoria, you have so many quality places to choose from. Are Seva and Mundo still considered hidden secrets? I don’t have one particular place. How can you with so many to choose from? It comes down to what we are feeling in the moment. And once you finally decide “Let’s do Greek!”, then it’s “Ummm… Telly’s? Loukoumi? Kyclades? Zenon? Ovelia? Bahari? MP? Agnanti? Psari? Aliada? Elias? Etc. ?” Yes, it can sometimes be tough living in Astoria. I lived in Astoria in the 80s. I’m sure it’s hard for many to imagine, but even Astoria had its rough times. But at least we still had our Astoria Park for outdoor activities, our streets to play football and baseball, or our clubs to dance. My dad owned Papagalo and Asteria in the 80’s so I was very much a part of that scene. Astoria has changed dramatically since then. For those of us that have been here since then, we sometimes miss that old Astoria. We feel as if it was a cozier Astoria. Today‘s Astoria is beautiful too, but in a much different way. It’s bigger. It’s busier. It’s also way more expensive, but isn’t everything? I remember when they were practically giving away buildings for nothing in some parts of Manhattan in the 80’s. That is certainly not the case today. What’s you’re favorite part of being in Queens? 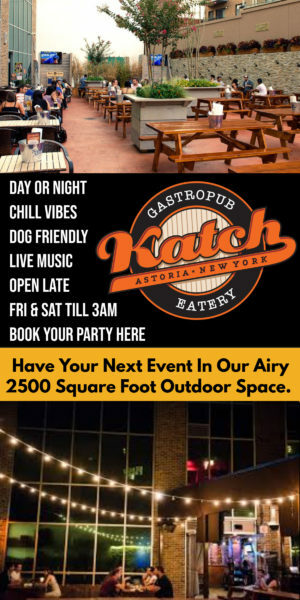 It is definitely the most conveniently located borough, Astoria being its most conveniently located neighborhood. The proximity and commute to Manhattan can’t be beat. We have the beach to our east, skyscrapers to our west, skiing and trees to our north. Or you can just stay put because of the countless options right here at home. Astoria has a very strong and diverse culture. It’s a great place to raise a family. Vegetarians, we’ve got you. This kale salad not only looks gorgeous, it’s also very tasty and satisfying. The cheese adds a lovely richness, while the nuts contribute a very welcome crunch. 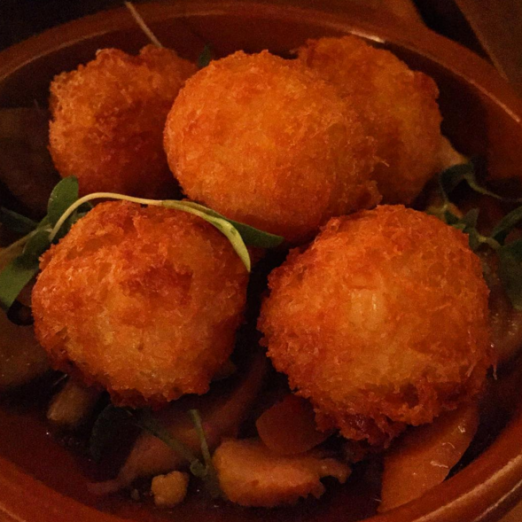 Photo Courtesy of Meg C.
Reminiscent of crab cake bites, the cod croquettes were light and tasty without being too fishy. 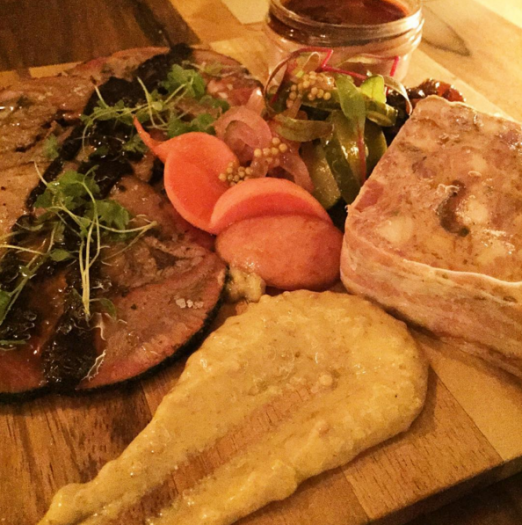 60 Beans offers three charcuterie options (Chicken Liver Pate, Beef Tongue, and Country Pate) and we sampled each of them. The whipped Chicken Liver was especially exciting for me, and I enjoyed the tart crispness of the pickled vegetables. Special thanks to 60 Beans for hosting us. We’re lucky to have you in the neighborhood! Ohhhhhhhhh how I wish I could get a delicious Queens NY bagel in California!!!!!! Mom Nom Nom!!! !